Lisa Premke (* 1981) first studied architecture und later Fine Arts at the Gerrit Rietveld Academie in Amsterdam, and then completed a Master of Sound for the Moving Image at the Glasgow School of Art. © Lisa Premke With her acoustic objects and site-specific performative installations, Premke searches for a materiality and an awareness of collective loss experiences. Abandoned industries, failed political systems or the deconstruction of language - she experiments with the omission and the need for closeness to these immaterial commonalities. Voice and sounds are materials that the artist uses to incarnate the experience of loss. She carefully takes discarded systems apart and uses their elements, objects and resources for a material translation. It is a reenactment of familiar and at the same time completely unknown situations. Through friction, resistance and reverberation, the material finds a voice that tells itself about itself. 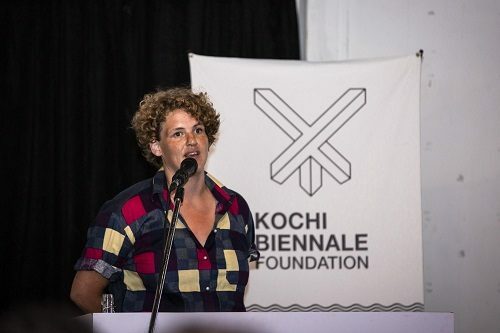 During the residency period in Kerala, Premke will develop a new project that deals with the collective heritage of Kochi. In her research, the artist wants to focus on the international trading history of the port city and look at the remnants that can be found in stories, myths and public structures. 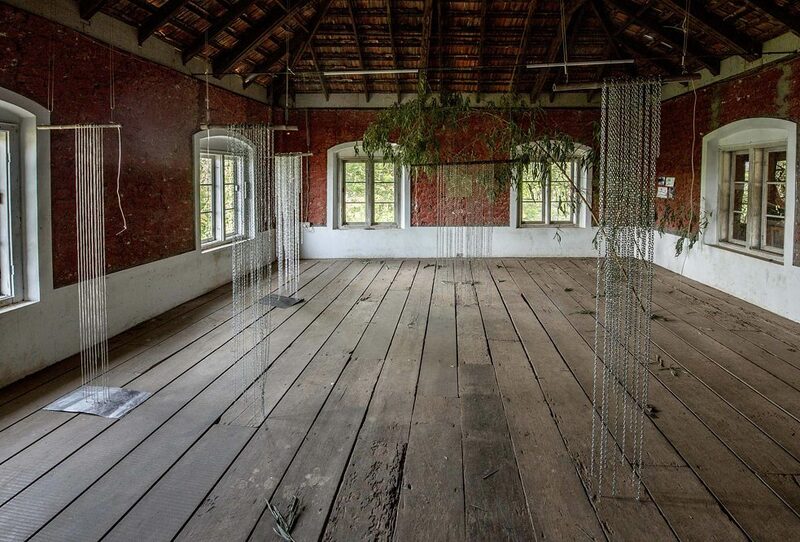 For her site-specific projects, Premke has been invited to international residence scholarships, such as the Košice Artist-in-Residence (Goethe- Institut). In addition, she has participated in numerous exhibitions, including the Berliner Galerie Weisser Elephant, the Großer Wasserspeicher in Prenzlauer Berg in Berlin, the Arti et Amicitiae in Amsterdam, and the Studio 1 Kunstquartier Bethanien. 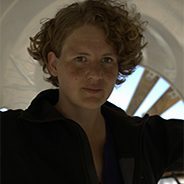 Lisa Premke also works as a composer and sound designer for film, radio drama and stage. I walk out of the airport and the humidity hugs me like a longlost friend. Right at the beginning it seems to me as if everything is embraced - house walls, roads, boats, my body, my hair. 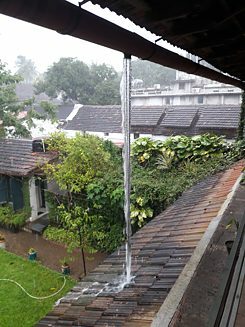 During my seven-week stay in Kochi, nature will present its power even more aggressively. Immediately I get acquainted with the biennial team, there is someone I can call for everything. I notice now, what is later confirmed: There is all the freedom to work as you want, and if something is needed there is always someone to help. Of course I do not know what I could ask for now so I borrow a bike from the hotel. It only rains occasionally in the first two weeks and I cycle, very comfortably, the whole island. Although I expected it, it doesn’t feel obtrusively loud. For me, the sound blurs in with the humidity. Like a continuous carpet of thousands of sounds, it swirls over the city and seems unstoppable. The houses are decorated with patterns, everywhere corners and holes. And no big surfaces that could stop the sound or throw it straight back. The 'patternisation' of public life (patterns: in clothing, houses, plants and animals, alphabets, carpets, everywhere!) will have a strong impact on my work. © Lisa Premke The first few weeks I wander around like a part of the soundscape, alien but slowly becoming part of the diversity. Everything seems to me full of opposites that do not compete in everyday life. I buy new clothes, mine are too short. At night, flying foxes and crows attack each other in front of the hotel. During the day, dogs, cats and goats are in the same position: forelegs crossed, resting in the shade of trees, cars or boats. Relaxed animals everywhere, their sluggish bodies lie amidst the hectic street life and slow down the sense of time. Back in the studio in the evening. Two Indian artists are in the last phase of their residency and prepare the open studios. Pepper House is a constant coming and going. I'm sitting in the big studio, watching the container ships parking and how the rain trickles down the rain chains into the earth; I’m going to the comic workshop in the neighbouring studio and listen to stories about Kochi. All of a sudden, the rain doesn't stop anymore. Masses of water pour down, the dams in the north are opened and hence it also comes from below. Incredibly, the island remains largely spared. In Ernakulum one can see the devastation, the water rises ever higher. © Lisa Premke I leave the bike in the hotel and walk through the streets. Fishermen load their boats on trucks and drive into the heavily flooded areas. Many of my friends - rickshaw drivers, hotel and restaurant owners, office people - drive. Untouched by the worst, the whole island seems to work together to help. The hotel prepares food every day for the new relief centre in the city. I am the only guest and there are currently few opportunities to get to the city. The airport is flooded, ferries, buses and trains are not plying and the trucks are fully loaded with emergency packages for the flooded areas. Through my walks, I get into even more conversations. I sit in living rooms and hear stories, and see the city more from the inside. At night, duirng rain breaks, I drive with a friend to the backwaters outside the city to record the croaking of giant toads. Occasionally I work at the Biennale office, Pepper House is closed for a few days. There is an openness in town, the monsoon pushes all of us out of our patterns. The rain finally stops and I spend more time in the studio. We are now three artists in residence and workshops can be held again. Slowly my project becomes more concrete, all impressions come together. I still drive a lot through the area, visit places and find my location. During the discussion after my final presentation I realise how much I take with me, how big the exchange was, even though I only saw fractions. I'm looking forward to seeing everything differently again. © Lisa Premke Singing Patterns, the outcome of Lisa Premke's bangaloREsidency@PepperHouse was presented at Pepper House on September 7-8, 2018 together with an Artist's Presentation.